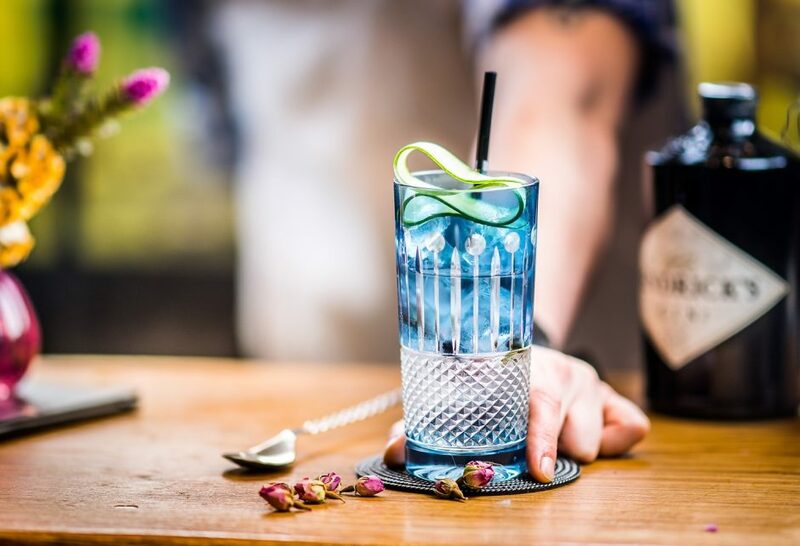 Autumn Staycation at Abbey Hotel, Bath | To Work Or PlayTo Work Or Play | A blog of two halves: Lifestyle guidance for city-savvy socialites, and insight, inspiration and opinion for ad-curious folk. Fancy an Autumn staycation? 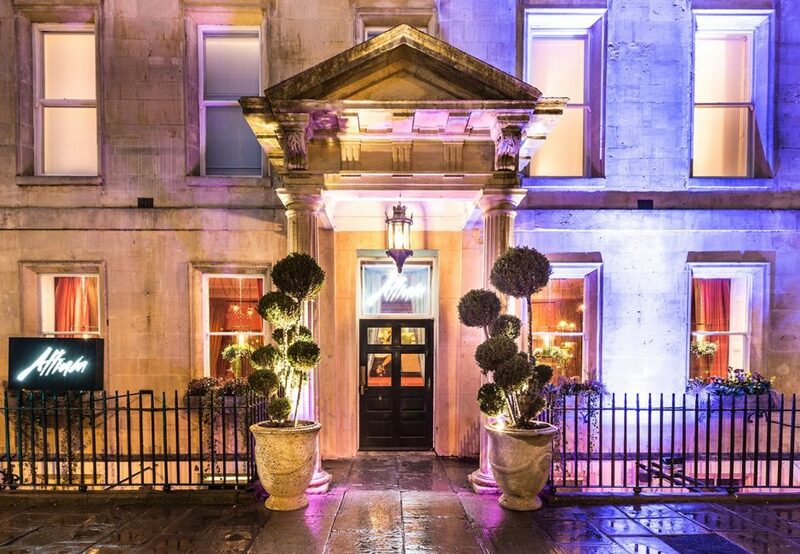 Why not nip to Bath for a night and stay right in the heart of the perfect ‘city break’ city? Emily discovers Abbey Hotel. 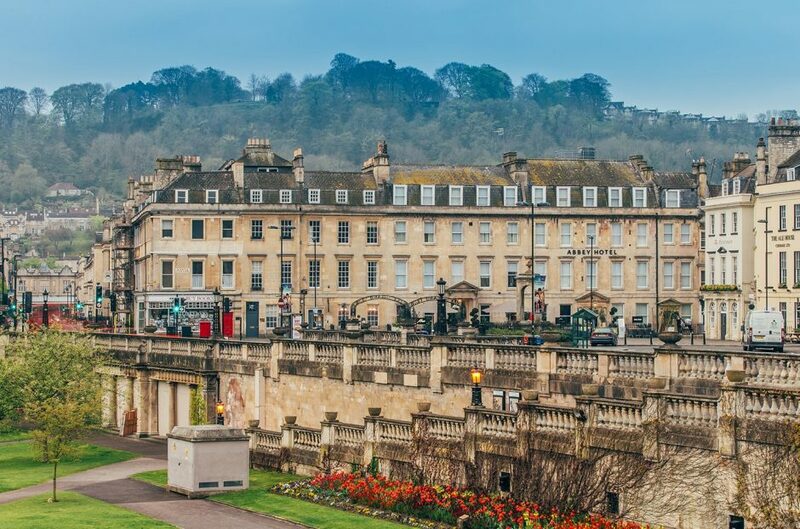 Bath is a city that really does not have to sell itself. 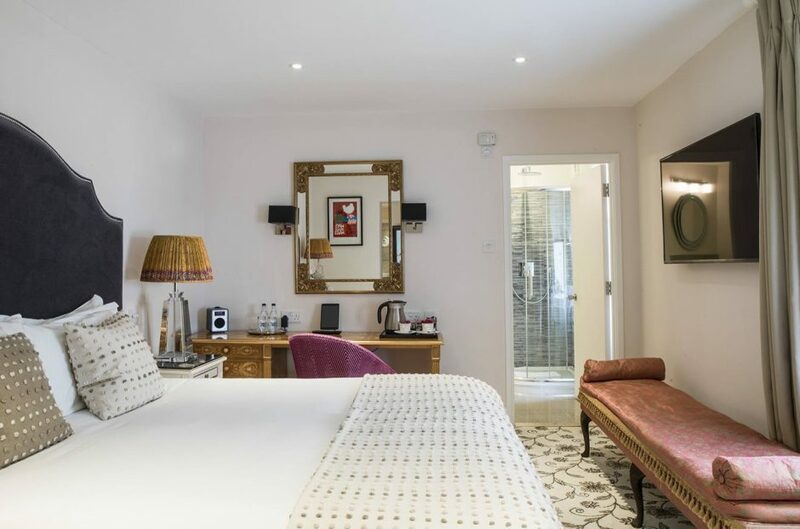 It’s bursting with history, surrounded by beautiful countryside and filled with restaurants, shops and hotels to rival some of the world’s top metropolises. So now that you know you want to go there, where should you stay? Abbey Hotel makes your trip easy right from the start. 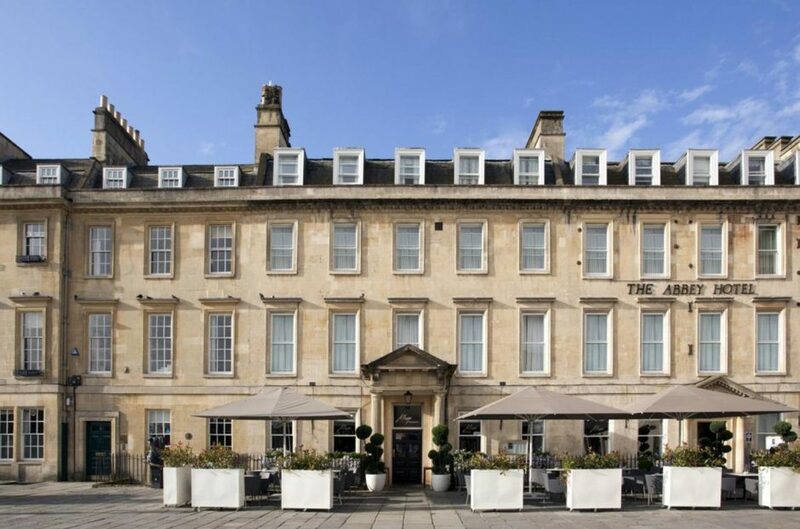 Londoners can hop on a train to Bath then walk 3 minutes from the station to the hotel’s doors. Anyone driving, there’s a payable carpark right behind. Arrival smoothly completed, you can now walk everywhere you need to and won’t have to worry about taxis or traffic. With outdoor tables to soak up the last of the year’s sunrays, there’s also an impressive reception area with cosy sofas nestled into inviting corners with magazines and newspapers a plenty. The staff are nothing short of delightful and take every opportunity to help out or offer top tips on the city or your stay. For a city centre hotel filled with beautiful furnishings, dog owners can dance a jig of gratefulness that these guys not only accept canine visitors but positively spoil them. On arrival, we found a big fluffy dog bed complete with dog welcome box – food, treats, tennis ball and poo bags included. Happy pooch. The rooms are slick and filled with beautiful design features. 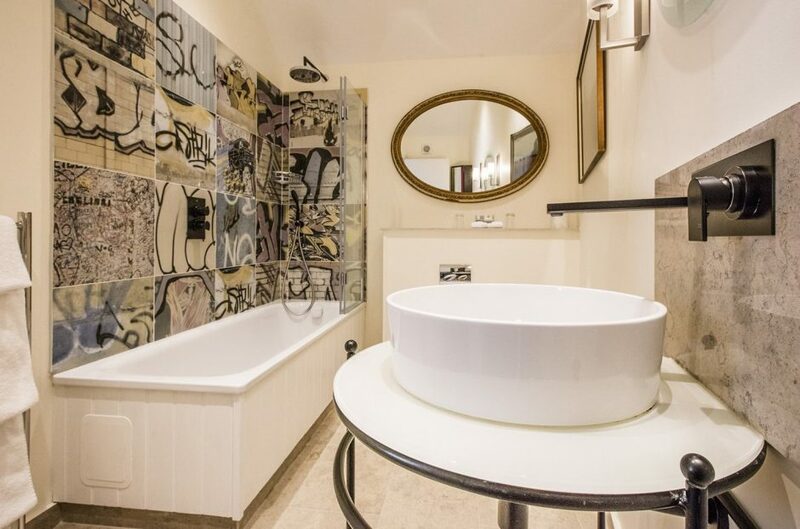 The overall look is modern, and the contemporary bathrooms are a real highlight – stocked with Ren products for those who appreciate the finer things. 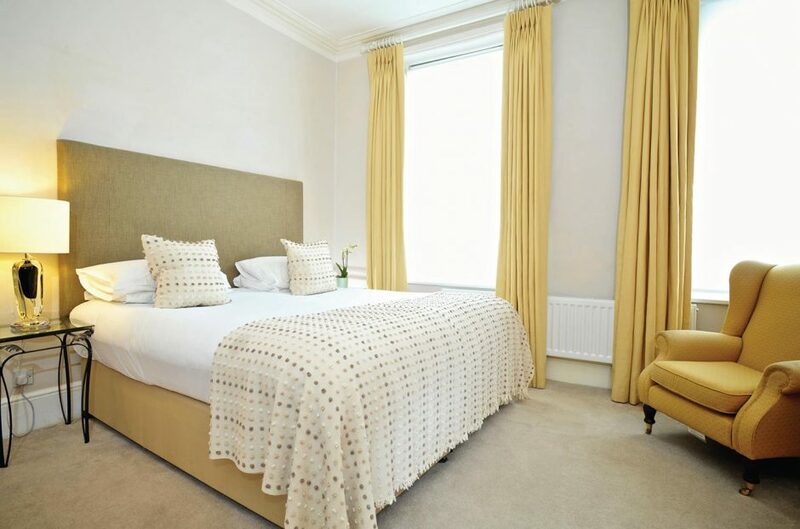 Excellent linens and big comfy beds ensure a surprisingly restful sleep in the heart of a bustling city. 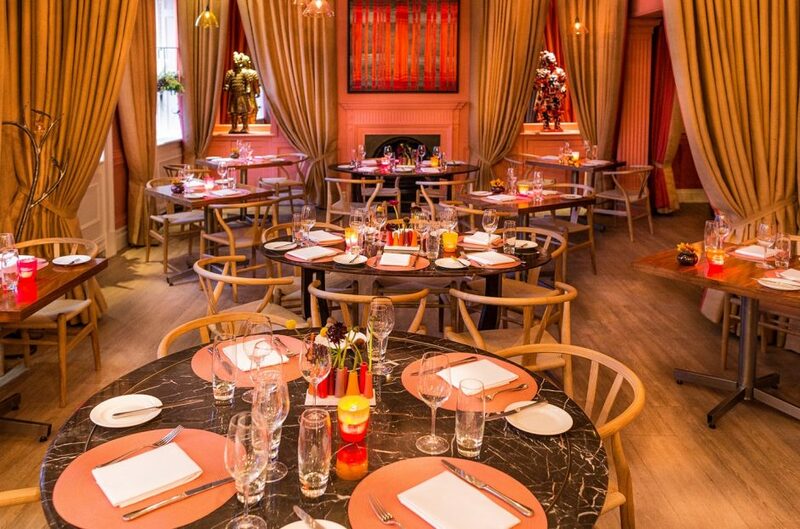 Although it’s tempting to explore the culinary delights of the city, at least one dinner in the hotel is an absolute must. 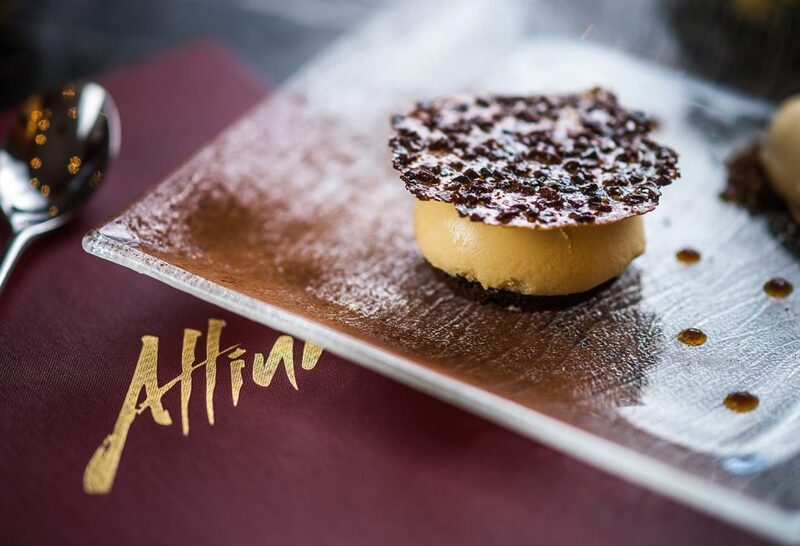 Book a table in advance at Allium to ensure you get to taste some of the city’s very best dishes. 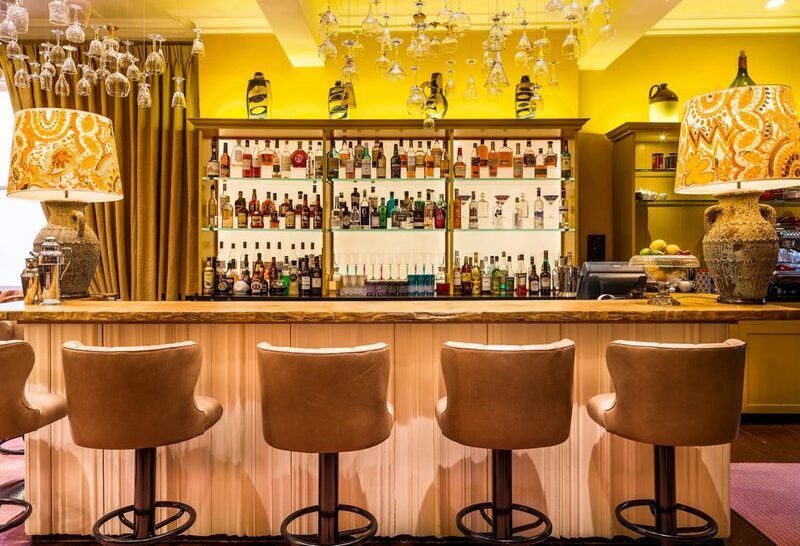 Before you take your seats however, have a drink at the Art Bar – found behind thick velvet curtains and the ideal drinking den to kick start a luxurious evening. 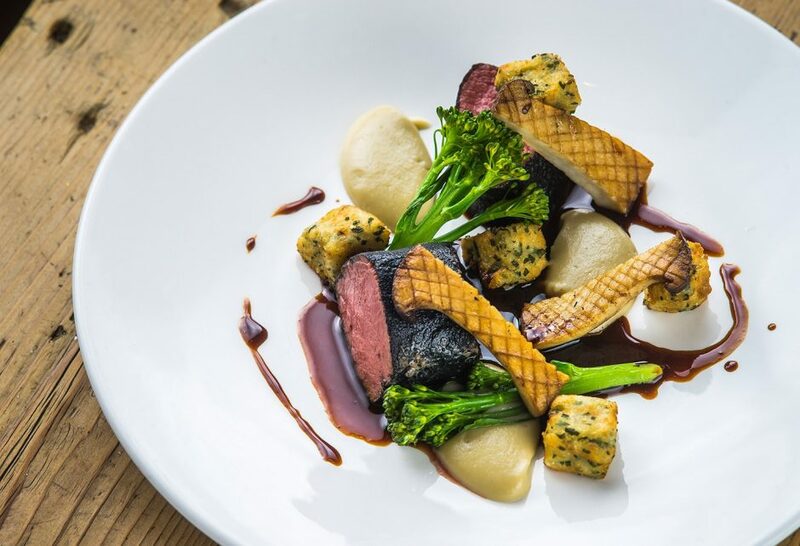 Dinner will most likely be delayed as you’ll be snapping the interiors of Allium for your Instagram feed – which will become more and more full as each beautifully presented dish emerges from the kitchens. The staff again are fabulous, knowledgeable and wear the most amazing white shirts with printed patterned sleeves. 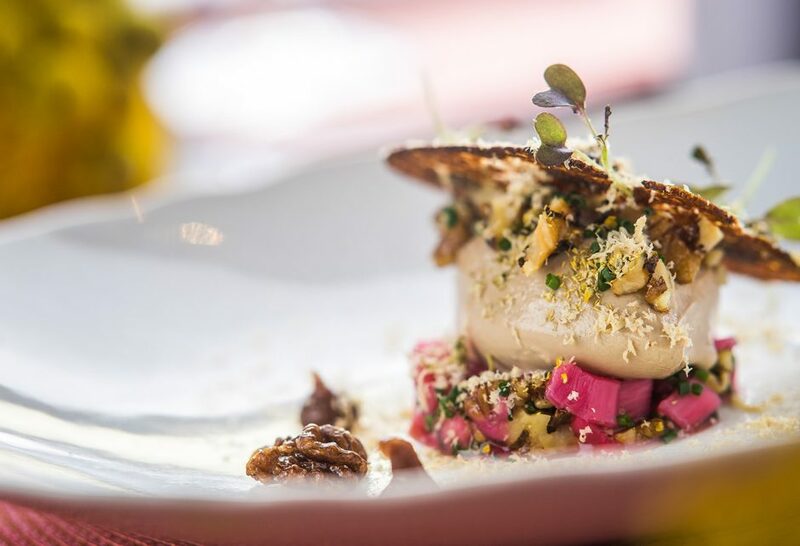 Start off with Cornish Crab Salad (served with grapefruit, and avocado ice cream) or the Jerusalem Artichoke Soup which not only has crispy mushrooms in its midst but also sourdough croutons. The mains are equally delicious and the Halibut with samphire and salsify is excellent, as is the Monkfish with curried lentils and cauliflower. 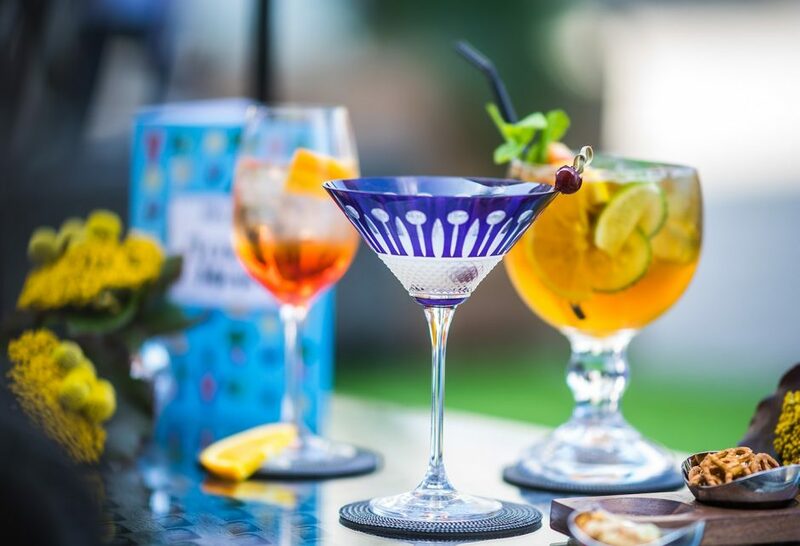 You must save room for dessert however – whether you go relatively traditional (Pineapple Upside Down Cake with clotted cream ice cream) or off piste with Coconut Mousse served with poached cherries, bounty bar and sour cherry sorbet. Amazingly you’ll probably still have space for your breakfast in the morning. A bounteous buffet with fruits, meats, cheeses and breads – as well as the chef’s homemade granola. There’s also a hot menu and the smoked salmon and scrambled eggs are excellent. If you’re with dog, you can take up the option of allowing them to join you, just outside the main Allium dining room. For more information and bookings visit the Abbey Hotel website here.